Purpose from skyler thomas on Vimeo. 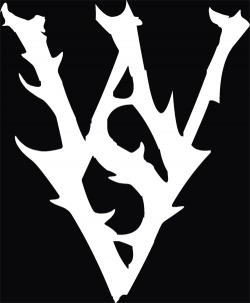 WSV classic logo. 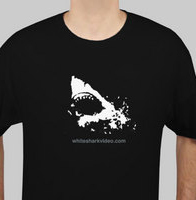 "Whitesharkvideo.com" text on back. 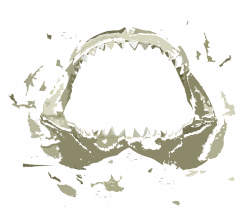 Shark Burst on front. 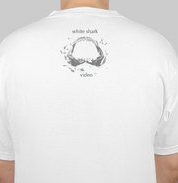 "whitesharkvideo.com" text. 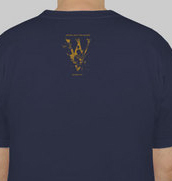 Splintered jaws on front. 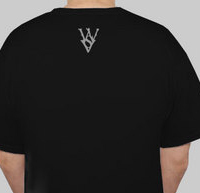 Splintered logo on back. Text read "Sharks don't kill people. 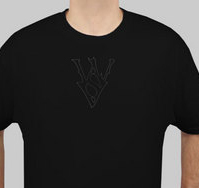 People Do"
Hollow WSV logo on front. 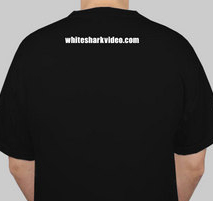 "whitesharkvideo.com" on back.